Our residential refrigeration division offers services to supply, install and repair heat pumps and air conditioning systems. It’s all about your need to be comfortable! Our certified professionals have the expertise required to take care of all brands of heat pumps. Take advantage of our reliable heat pump maintenance service! Our residential ventilation division consists mainly of heat pump installation and energy recovery ventilators (ERVs). We provide total quality and we design the system to meet your needs. Our designs come from years of experience in the commercial sector where quality is always a requirement. BPMS residential heating services are well able to provide your large residential project the quality and the peace of mind it deserves. With our many years of experience, your project is in good hands. 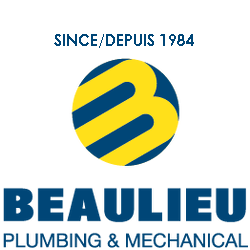 Our residential plumbing division has now expanded to apartment buildings and nursing homes. You can rest assured that with BPM, you will get the very same high standards of quality we promise every client and the same level of quality we’ve provided since 1984.